It's officially 1 week or 7 whole days until the One Of A Kind show is actually happening!! I couldn't keep to my work schedule because of some unexpected things happening. For one, I got sick last Wednesday, and ended up spending most of the day on the couch. 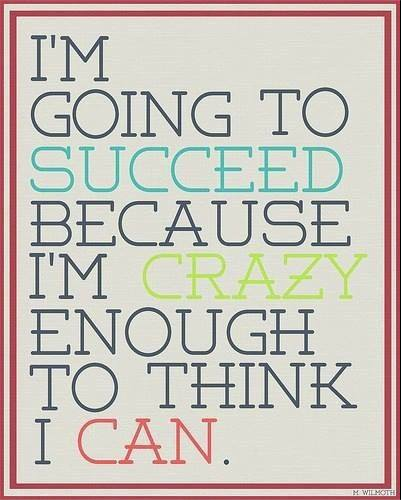 But I'm slowly getting better. I just need to force myself to drink tons of water, and I should be healthy by the time I get to Toronto. 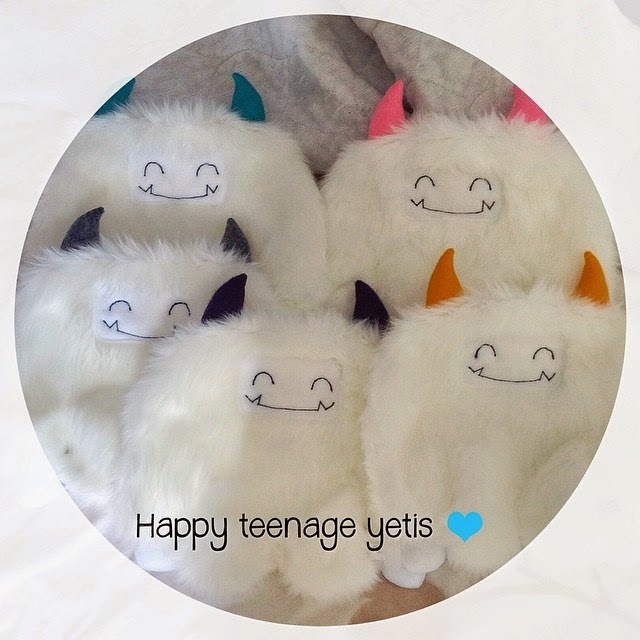 This week I'm finishing up my yetis. 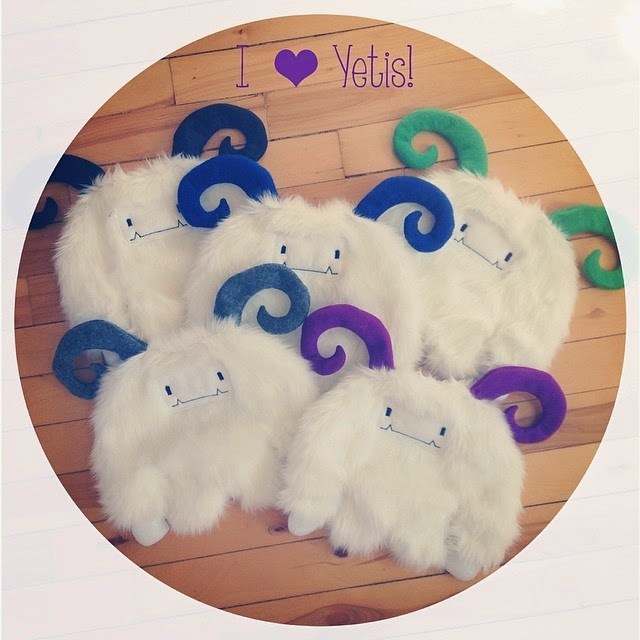 I've got both Fenwicks (teenage yetis with small horns), and Geoffreys (large ram-like horns). On your way in to the show, don't forget to browse the front entrance display. 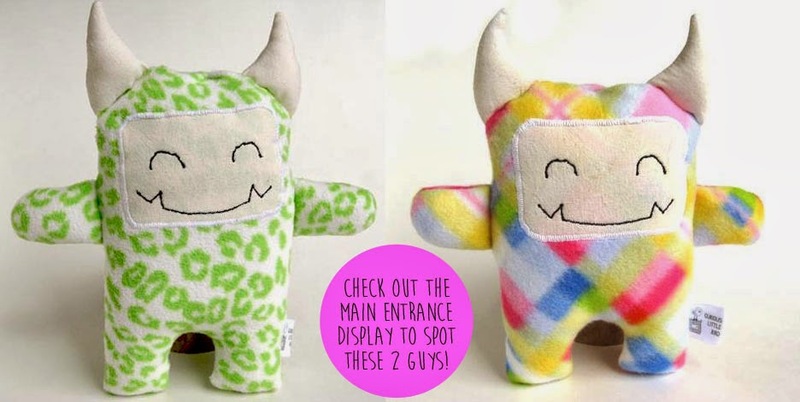 A few of my fleece monsters for babies will be there, smiling away! Last but not least, if you are coming to the One Of A Kind show, here's a link to get discounted tickets. Click on the picture and it'll take you to the website to get the discount :) This promo code will instantly offer a $1 off saving from online adult admission ($12-$1 = $11). You can find me in the RISING STAR section, booth P21! Wish me luck!! 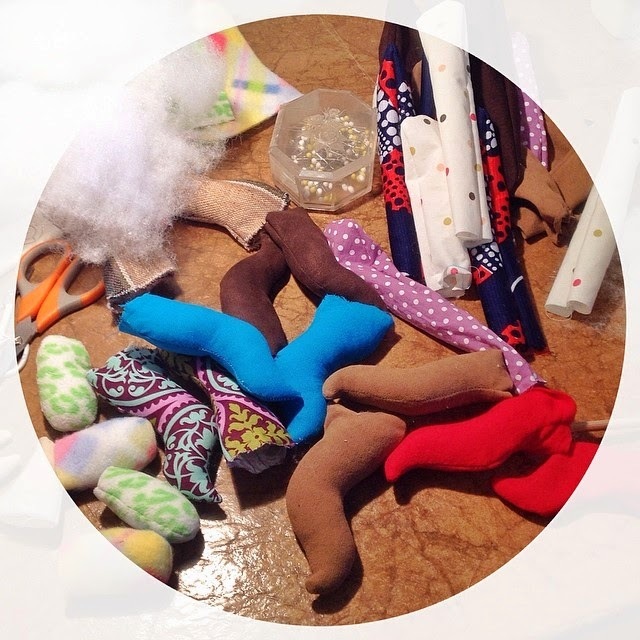 I hope this will be the most successful handmade show I do this year. Unless of course I get accepted to the Christmas One Of A Kind show, in that case THAT will be the most successful, and spring will be awesome!! 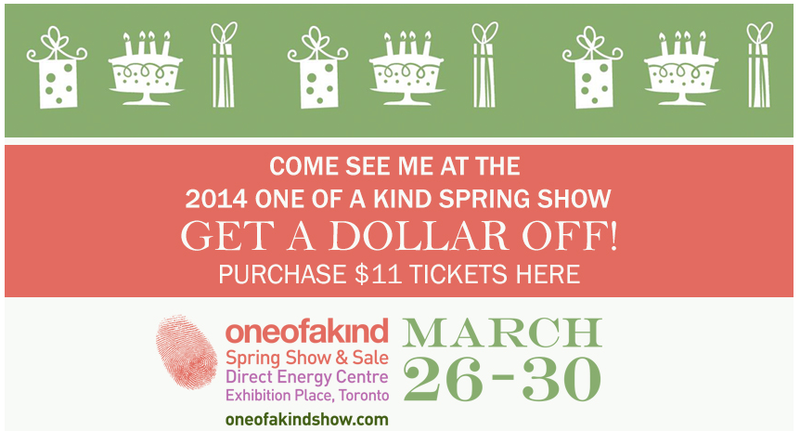 19 Days and counting to the One of A Kind Show!! I still have a few tickets to hand out to retailers. I'm hoping to find some free time to email everyone. 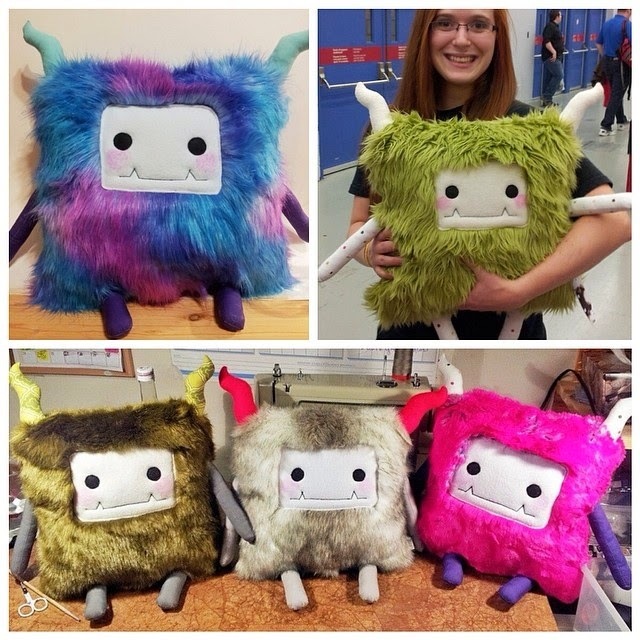 :) If you are a retailer in the Toronto / Ontario region and you would like to meet me and see my monsters in person, please message me and I will gladly put a ticket aside for you! 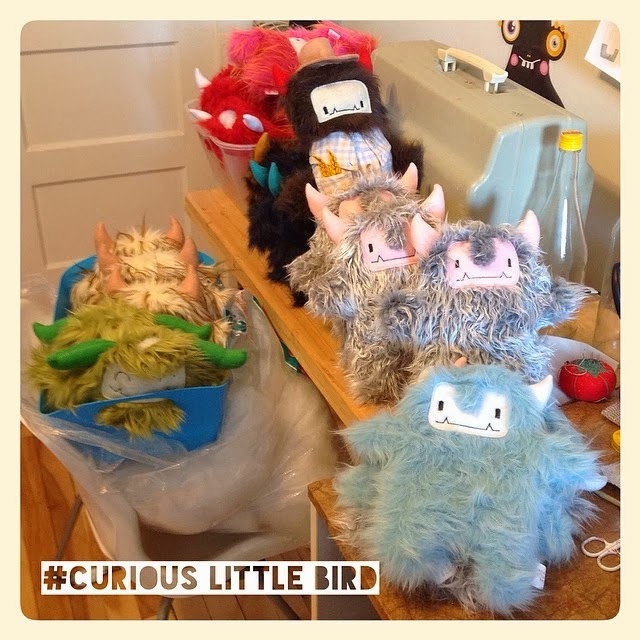 I can't believe this pile of almost, yet not quite finished, monsters are piling up! It's starting to get scary, this pile. There at least 24 or more monsters. Looks like I'll have to work this weekend to finish them. 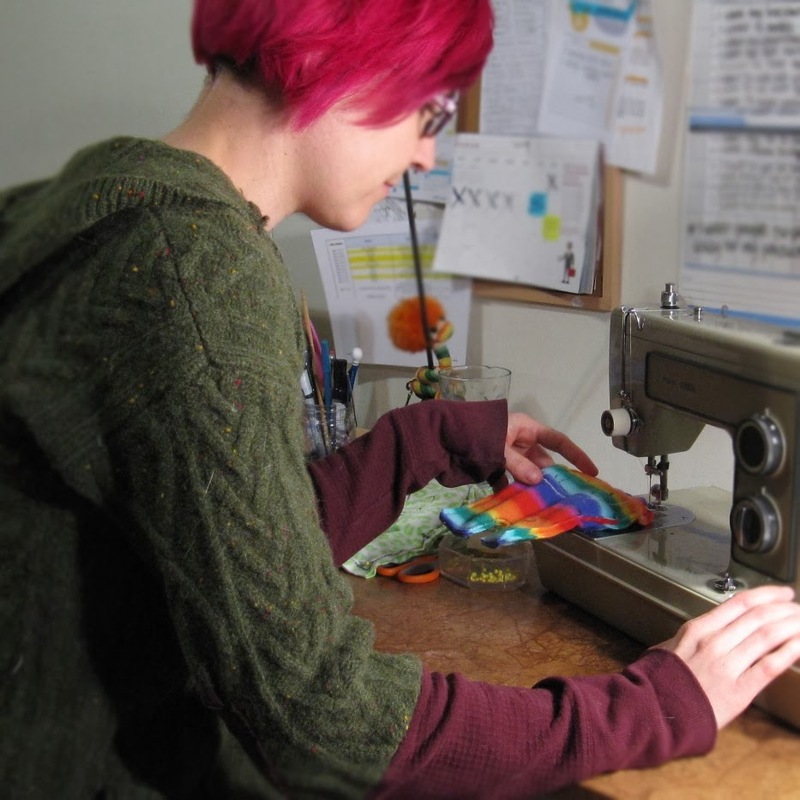 I work in a production line setting, doing all the cutting first and then sewing, then stuffing. 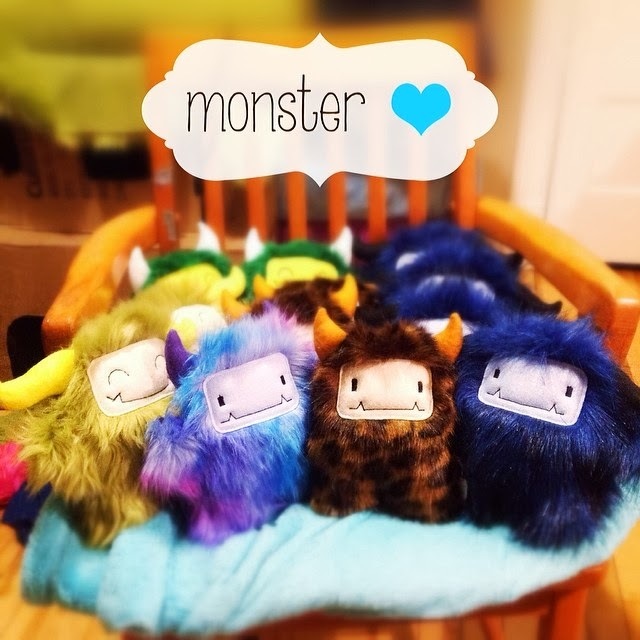 I give myself a quota of 6 monsters a day so as not to overwhelm myself, and make work seem less crazy. Here I am, hard at work!! 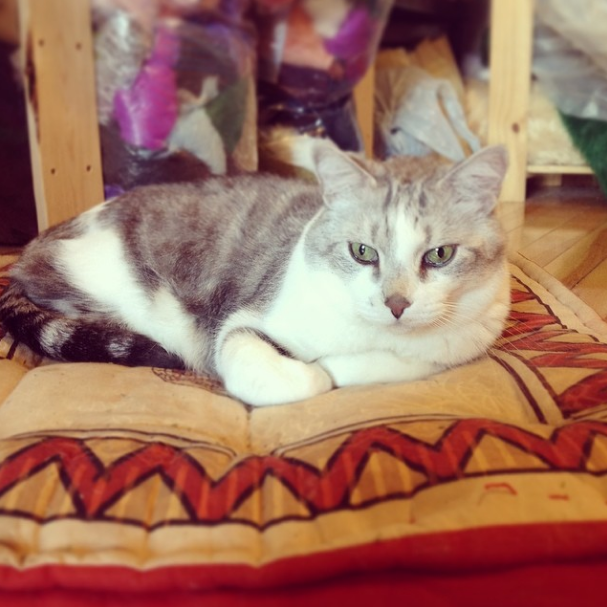 Here's one of my cats, Littleone. He's furry feline supervisor that likes to watch over me, making sure I do all of my work! Well 19 days and counting! 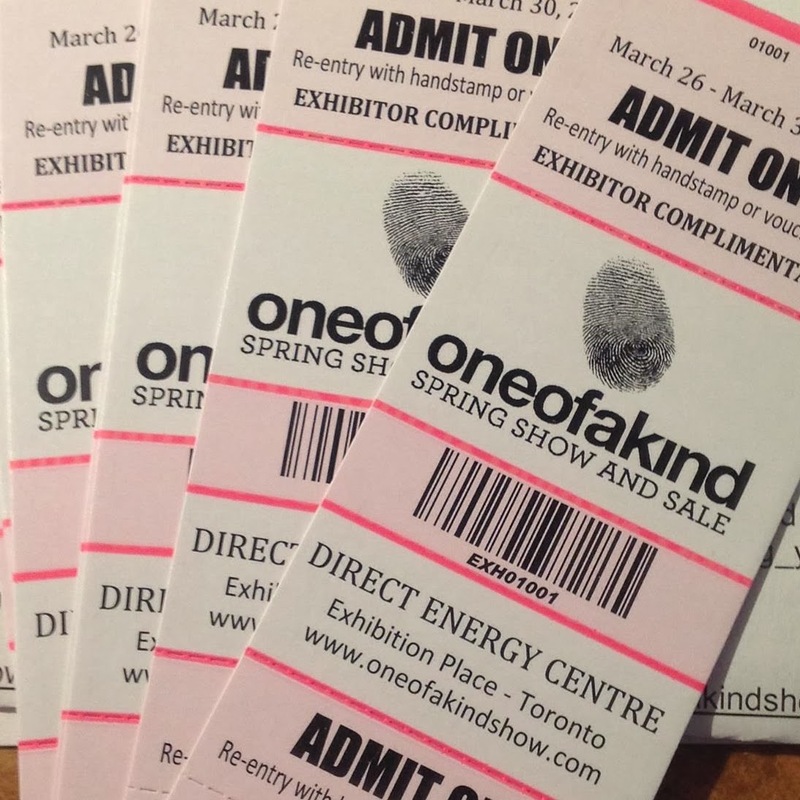 If you're going to be going to Toronto, and stopping by at the One of A Kind Show, don't forget to stop by the Rising Star section and say hello! My booth is P21! Wish me luck!!! You can check out my artist profile on their site!